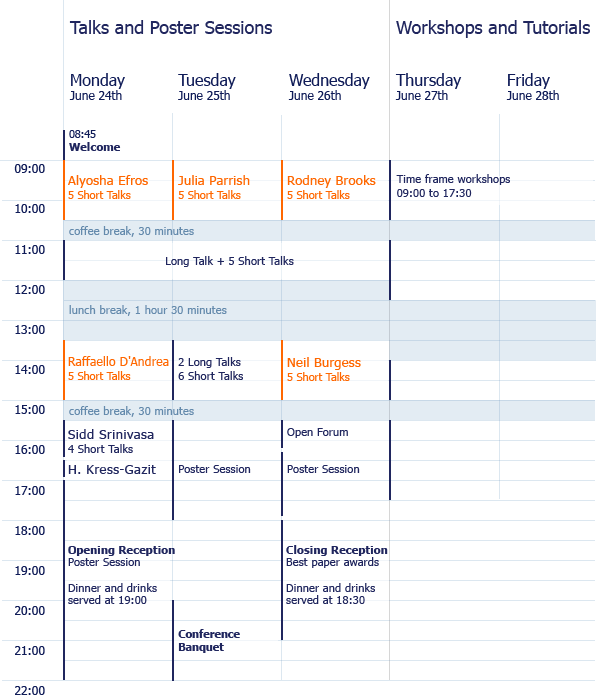 Talks and poster sessions will take place from Monday to Wednesday (June 24th – 26th, 2013). They will take place in the main building of Technische Universität Berlin. Have a look at the technical program. Workshops and tutorials will take place on Thursday and Friday (June 27th & 28th, 2013). They will commence at 09:00 and end at 17:30. They will take place in the MAR building of Technische Universität Berlin. Have a look at the workshop details.